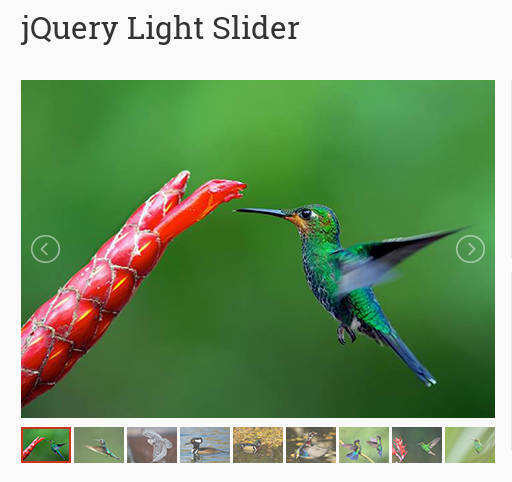 jQuery Light Slider is a very lightweight (5Kb) responsive image and content slider with lot of options for creating sliders, image galleries, news sliders etc.. It can be used to create beautiful image carousels and news sliders in responsive web pages. Image thumbnail options are also included with the slider. add the Following code to the <head> of your document.